Ogden Walker, deputy sheriff of a small New Mexico town, is on the trail of an old woman's murderer. But at the crime scene, his are the only footprints leading up to and away from her door. Something is amiss, and even his mother knows it. As other cases pile up, Ogden gives chase, pursuing flimsy leads for even flimsier reasons. His hunt leads him from the seamier side of Denver to a hippie commune as he seeks the puzzling solution. In Assumption, his follow-up to the wickedly funny I Am Not Sidney Poitier, Percival Everett is in top form as he once again upends our expectations about characters, plot, race, and meaning. 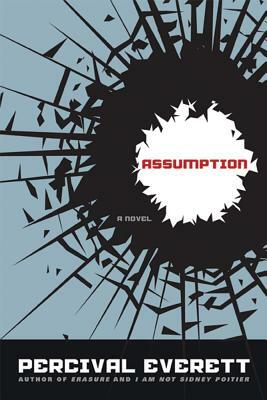 A wild ride to the heart of a baffling mystery, Assumption is a literary thriller like no other.